Good morning polished world! How are you all doing today? It's Friday - the end of the LONGEST week ever. I take that back, next week might be the longest week ever. We shall see though, I think it's going to be busy but what it won't be. Today I have a mish mosh manicure using one of my new favorite polishes, Serendipity Polish Holo-Day Lights. I purchased this beauty along with the Beach, Please collection a few weeks ago. Ever since the order came I couldn't wait to use it. Now I'm addicted. Let's talk about the design first. I saw something with a similar color scheme by Young, Wild, and Polished. 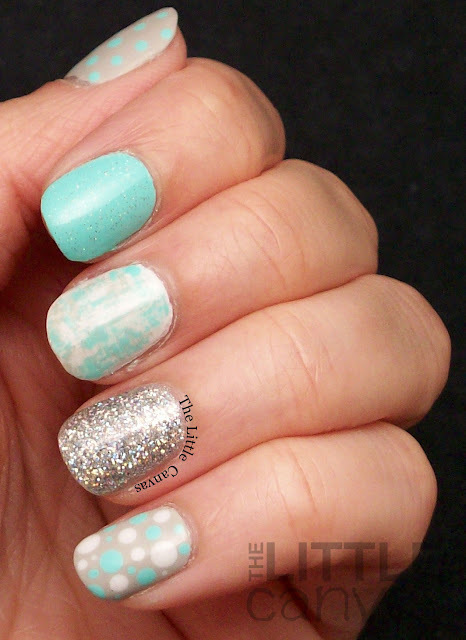 I loved the bright mint color over the top of a light grey. 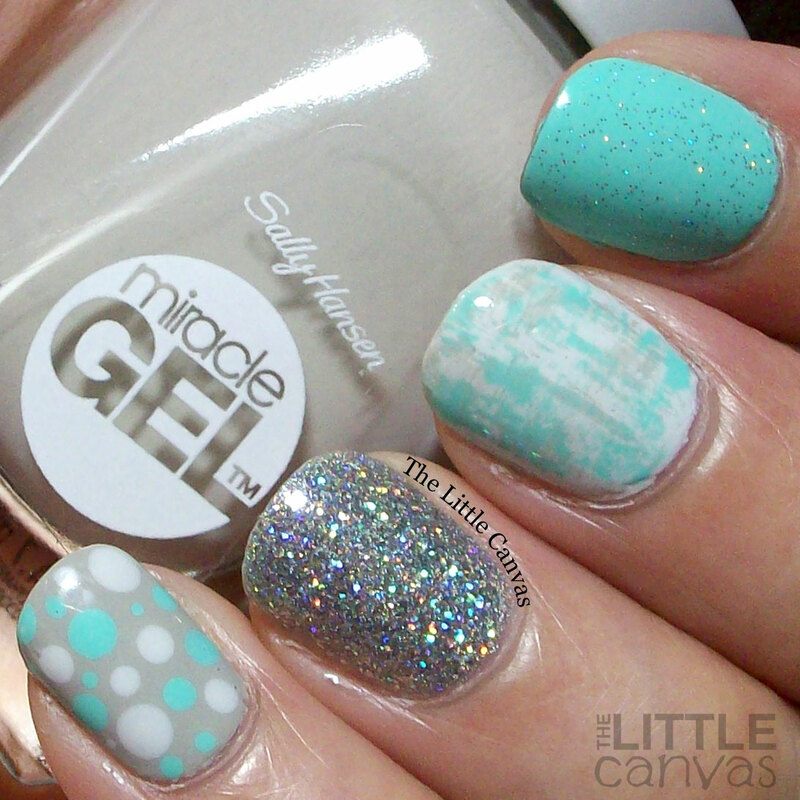 One of the new Sally Hansen Miracle Gels I received was the perfect grey. 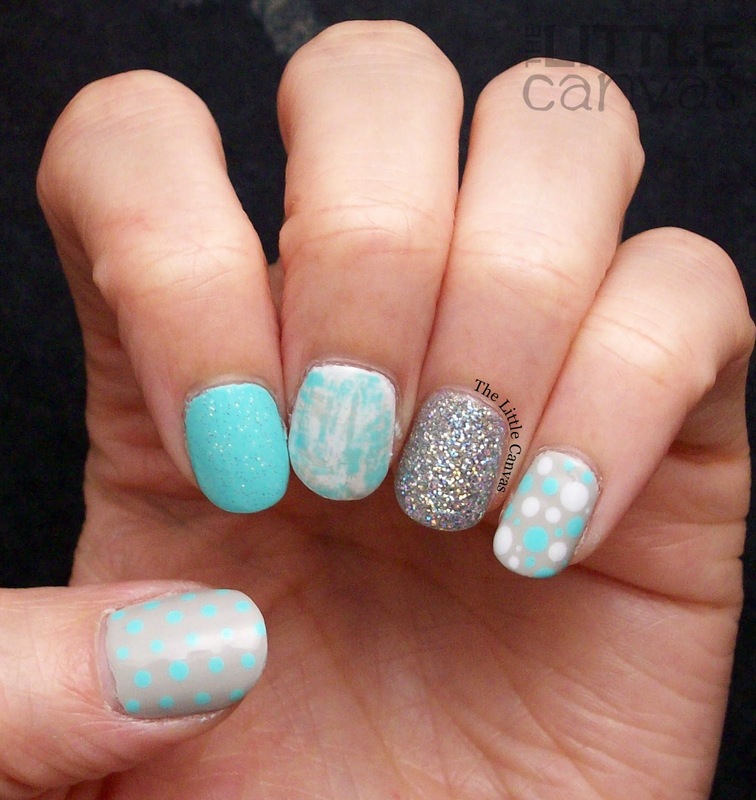 So I grabbed all the colors and came up with a mish mosh manicure with some dots and a dry brush. I think I need to do more neon/grey manicures. 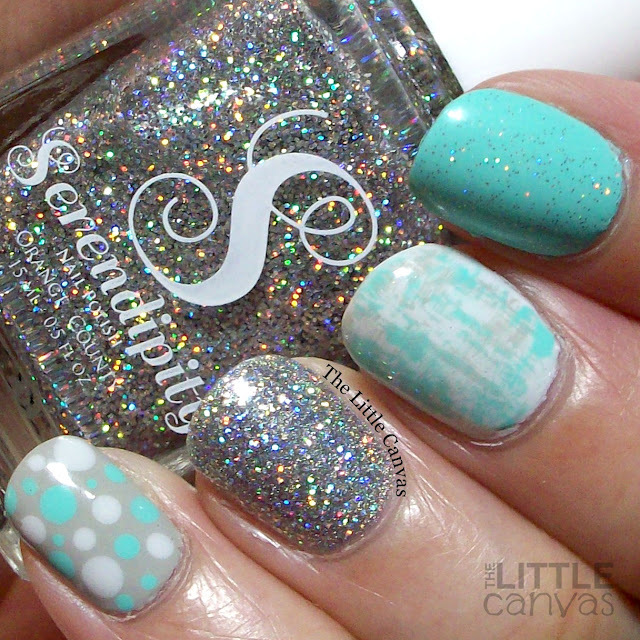 Holo-Day Lights by Serendipity Polish is a must have! I have not seen a more fabulous holo glitter in my life. 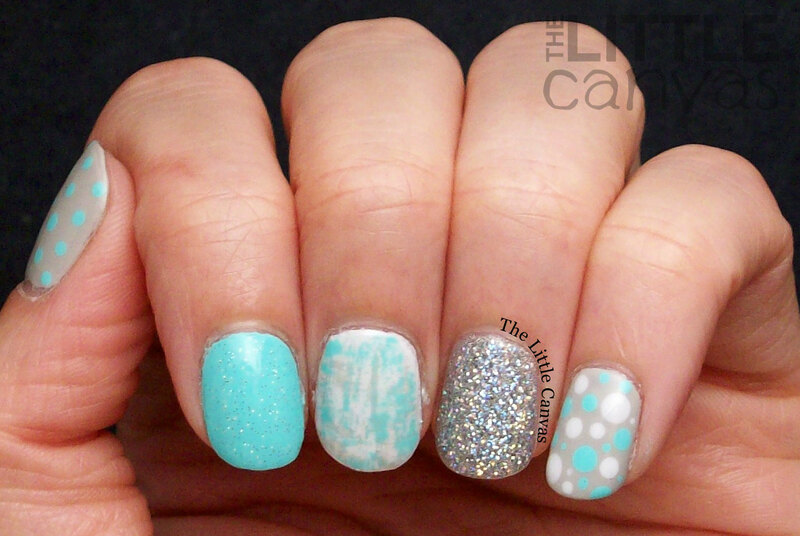 With one coat you have a gorgeous topper, and with two coats you have full coverage like in my swatch above. The holo effect was just as strong inside as it was outside. I need to buy a back up of this right away. In my Suitcase by Sally Hansen is such a beautiful grey polish. Light grey's like this can be tricky and end up needing at least three coats, but this gorgeous beauty only required two coats. Just like the other Miracle Gels I own, it didn't chip right away. I ended up getting four days out of this manicure, and would have gone longer but Blue-Ming chipped on the fourth day. I need to start giving myself Miracle Gel pedicures so my toes stop chipping. What do you think? Fan of this manicure? Love the color combination?